On Friday 9 March, our Junior School Student Leaders were commissioned before the school community during the College Assembly. 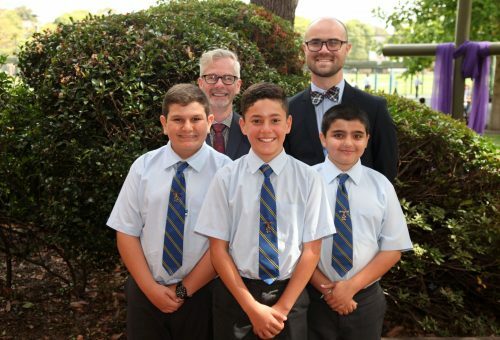 Michael Sakr was elected Junior School Captain, whilst Christian Katrib and Steven Saliba were elected Junior School Vice Captains. Dr Wattam presented the boys with their badges and following the Assembly, he invited the newly elected Junior School Leaders and their families to morning tea in the Casey Room.